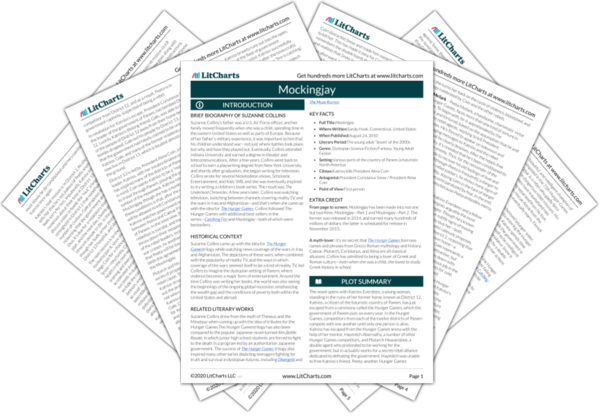 Instant downloads of all 946 LitChart PDFs (including Mockingjay). 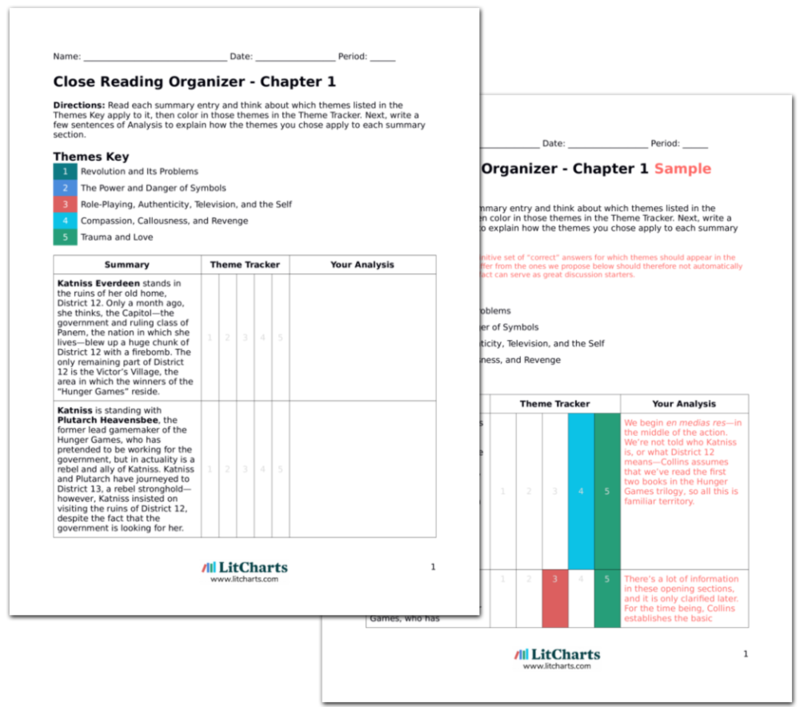 LitCharts assigns a color and icon to each theme in Mockingjay, which you can use to track the themes throughout the work. In Mockingjay, even more overtly than in Catching Fire or The Hunger Games, Collins writes about the conflict between compassion and callousness, or, in a slightly different sense, between forgiveness and revenge. The rebel alliance headed by President Coin commits numerous war crimes in its haste to defeat the government of President Snow: it bombs civilians, imprisons its own people, and even commits atrocities that it then tries to pin on Snow. At many times, the only moral justification that the characters supply for such acts is revenge. When the rebels are debating whether or not to bomb District 2, Gale argues that government already blew up District 12—therefore, the rebels are justified in responding in kind. The moral problem with Gale and the rebels’ “eye-for-an-eye” philosophy, however, is that immoral actions always lead to more immoral actions: one war crime must always be balanced out with another. Katniss Everdeen struggles with the “eye-for-an-eye” philosophy throughout Mockingjay. As a result of her experiences in the Hunger Games and in battle, she’s lost much of her compassion for others—indeed, she seriously contemplates killing Peeta, one her closest friends, because he could compromise the success of her mission. Katniss craves revenge—the ultimate “eye-for-an-eye”—against President Snow: she wants to kill him because he killed her friends and blew up her home, District 12. Violence and bloodshed have trained Katniss to think in terms of revenge—that every act of violence must be responded to with another act of violence. At the end of the novel, Katniss is in an ideal position to enact her revenge on Snow: she’s supposed to shoot him with an arrow, watched by millions of eager spectators. To everyone’s surprise, however, Katniss instead shoots President Alma Coin, the power-hungry leader of the rebel alliance. Katniss gives up her chance for personal revenge, favoring instead an ideal of justice that resists the sort of ultimate power Coin seeks to hold. Similarly, she refuses to support a further installment of the Hunger Games, Games which would be designed to “balance out” the government’s abuse of the districts of Panem. Katniss ultimately recognizes that injustice can’t be canceled out with more injustice. Shooting Snow or supporting a new Hunger Games won’t relieve her of the sadness of losing her family and friends in battle, or of having to compete in the original Hunger Games. Even after Snow died, her pain and trauma would remain intact—there is, in short, no “quick fix” for injustice. This certainly doesn’t mean that Katniss forgives Snow for his war crimes, or that she renounces violence altogether (quite the contrary, since she shoots Coin—who is, in her opinion, an equally evil leader). Rather, it suggests that Katniss has recognized the limitations of the “eye-for-an-eye” doctrine, and has rejected the moral callousness her friend Gale has acquired during the war. Implicitly, she trades callousness for compassion, or at least the promise of compassion. In the epilogue to the novel, set 20 years later, we see Katniss playing with her children and embracing her husband, Peeta. Revenge and moral callousness are seductive solutions to the world’s evils, Collins concludes, but in the end they’re always unsatisfying. The better, and much more challenging, solution is to embrace love and compassion. The ThemeTracker below shows where, and to what degree, the theme of Compassion, Callousness, and Revenge appears in each chapter of Mockingjay. Click or tap on any chapter to read its Summary & Analysis. 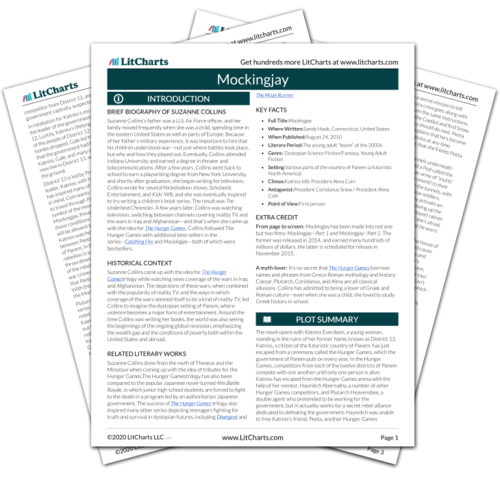 Get the entire Mockingjay LitChart as a printable PDF. 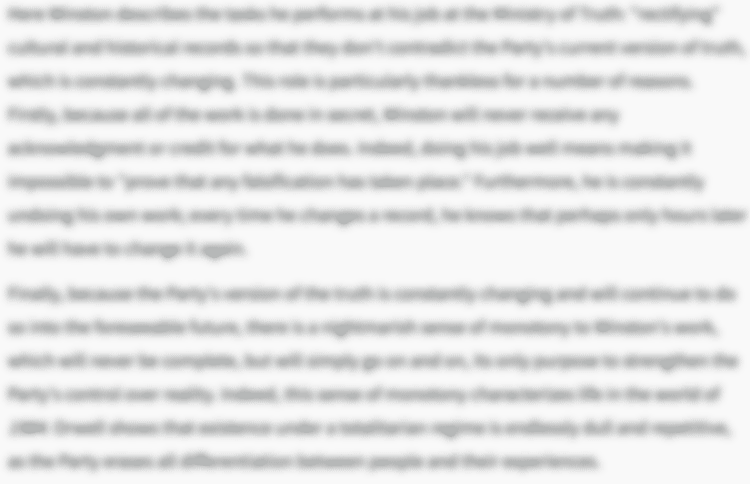 Below you will find the important quotes in Mockingjay related to the theme of Compassion, Callousness, and Revenge. Prim thinks this over. "Katniss, I don't think you understand how important you are to the cause. Important people usually get what they want. If you want to keep Peeta safe from the rebels, you can." 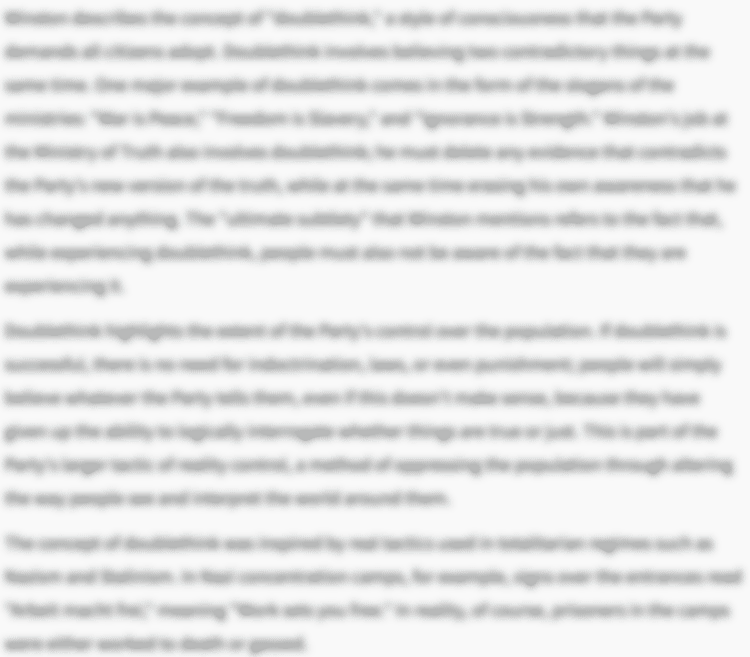 Unlock explanations and citation info for this and every other Mockingjay quote. "Punishing my prep team's a warning," I tell her. "Not just to me. But to you, too. About who's really in control and what happens if she's not obeyed. If you had any delusions about having power, I'd let them go now. Apparently, a Capitol pedigree is no protection here. Maybe it's even a liability." I’d certainly simplify the problem of dealing with his homicidal episodes. I don't know if it's the pods, or the fear, or watching Boggs die, but I feel the arena all around me. It's as if I've never left, really. Once again I'm battling not only for my own survival but for Peeta's as well. How satisfying, how entertaining it would be for Snow to have me kill him. To have Peeta's death on my conscience for whatever is left of my life. "It's not about you," I say. "We're on a mission. And you're necessary to it." I look to the rest of the group. "Think we might find some food here?" Everything about the situation screams trap. I have a moment of panic and find myself turning to Tigris, searching those tawny eyes. Why is she doing this? She's no Cinna, someone willing to sacrifice herself for others. This woman was the embodiment of Capitol shallowness. She was one of the stars of the Hunger Games until...until she wasn't. So is that it, then? Bitterness? Hatred? Revenge? Actually, I'm comforted by the idea. A need for revenge can burn long and hot. Especially if every glance in a mirror reinforces it. First I get a glimpse of the blond braid down her back. Then, as she yanks off her coat to cover a wailing child, I notice the duck tail formed by her untucked shirt. I have the same reaction I did the day Effie Trinket called her name at the reaping. At least, I must go limp, because I find myself at the base of the flagpole, unable to account for the last few seconds. Then I am pushing through the crowd, just as I did before. Trying to shout her name above the roar. I'm almost there, almost to the barricade, when I think she hears me. Because for just a moment, she catches sight of me, her lips form my name. And that's when the rest of the parachutes go off. Deep in the water, I'm deserted by all. There's only the sound of my breathing, the enormous effort it takes to draw the water in, push it out of my lungs. I want to stop, I try to hold my breath, but the sea forces its way in and out against my will. "Let me die. Let me follow the others," I beg whatever holds me here. There's no response. "I brought you this." Gale holds up a sheath. When I take it, I notice it holds a single, ordinary arrow. "It's supposed to be symbolic. You firing the last shot of the war." "What if I miss?" I say. "Does Coin retrieve it and bring it back to me? Or just shoot Snow through the head herself?" "You won't miss." Gale adjusts the sheath on my shoulder. We stand there, face-to-face, not meeting each other's eyes. "You didn't come see me in the hospital." He doesn't answer, so finally I just say it. "I don't know. Neither does Beetee," he says. "Does it matter? You'll always be thinking about it." Arn, Jackson. "Mockingjay Themes: Compassion, Callousness, and Revenge." LitCharts. LitCharts LLC, 4 Nov 2015. Web. 24 Apr 2019. Arn, Jackson. "Mockingjay Themes: Compassion, Callousness, and Revenge." LitCharts LLC, November 4, 2015. 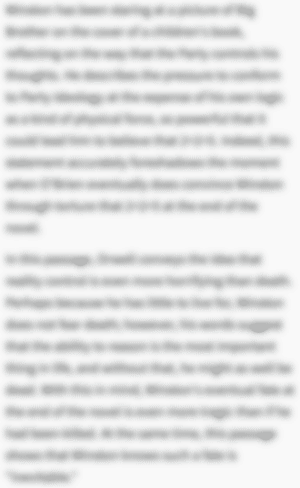 Retrieved April 24, 2019. https://www.litcharts.com/lit/mockingjay/themes/compassion-callousness-and-revenge.